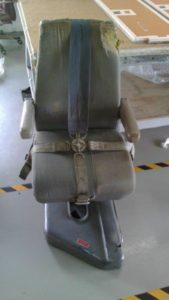 Aircraft seats experience a lot of wear and tear over the life of an airplane. So much so, in fact, that even though an aircraft may be in relatively new condition otherwise, its seats may make the interior of the aircraft seem much older than it is. Because the seats are such a crucial element of the overall comfort level of passengers in an aircraft’s cabin — not to mention the comfort of the pilot and the crew — it’s important for aircraft to be serviced by aircraft seat repair professionals that deliver the best overall services. With years of experience and the most accomplished technicians in the business, Aero Marine Interior, Inc. has earned a reputation as a leader in aircraft seat repair. 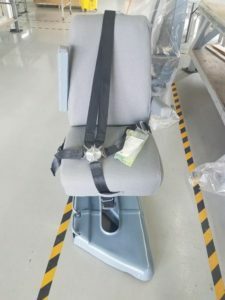 We do everything we can to keep aircraft seat upholstery, aircraft seat belts, aircraft seat covers and other elements of aircraft seats in like-new condition. As a longtime leader in the aircraft interiors space, Aero Marine Interior, Inc. can deliver the strongest possible results for our customers when it comes to seat repair services. Refurbishing and repairing flight crew seats is one of our core capabilities — including everything from new sheepskin seat cushion covers to plastic trim to re-webbed seat and shoulder belts. We apply that same degree of skill to passenger seats, as well, delivering passenger seat covers and other components that will have a cabin’s passenger seating in factory-new condition. We’ve helped numerous commercial airline and corporate aircraft customers refurbish and repair their aircrafts’ seating, and we take pride in our ability to deliver the strongest possible results no matter how big or small the job. Our experienced and knowledgeable field service technicians leverage their extensive qualifications to serve our clients with the highest levels of professionalism and quality. We hire only the best, so our customers receive only the best. Our credentials speak to the dedication of our people and the high quality of our services. 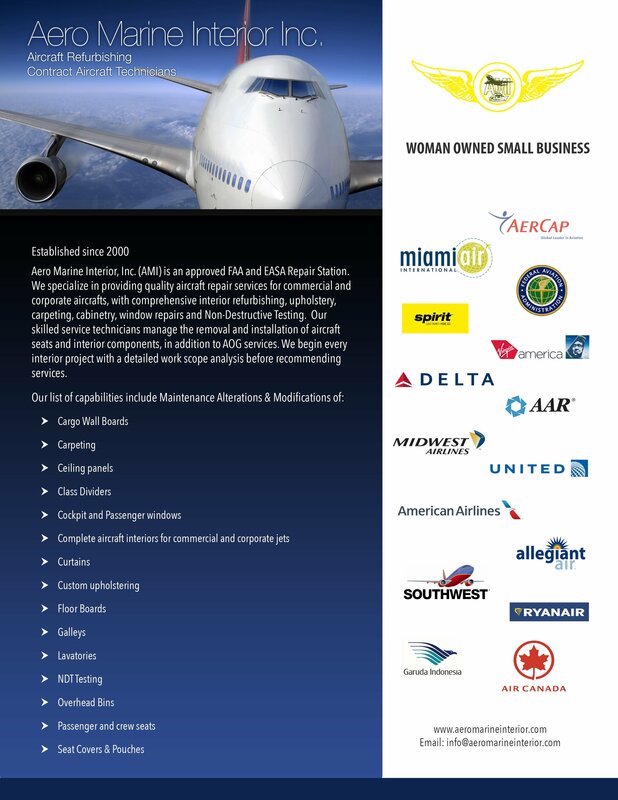 We’re FAA-approved, and our interior work is released with all of the appropriate FAA- and EASA-required documentation. This provides our customers with the peace of mind that comes from knowing they’re receiving excellent service. For more information about seat repair or any of our services, contact Aero Marine Interior, Inc. today and request a quote.